Haemoglobin Meter India, Haemoglobin Meter Manufacturer, Haemoglobin Meter Suppliers & Haemoglobin Meter Exporters in India. Jlab offer highly advanced Haemoglobin Meter in the market. Jlab are one of the prime Haemoglobin Analyzer Manufacturers and Suppliers from India. 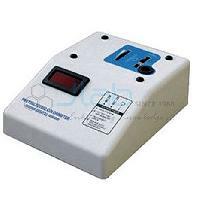 Microprocessor Haemoglobin Meter is used to determine the haemoglobin concentration in the blood sample. Haemoglobin Meter Manufacturer India, Haemoglobin Meter Suppliers, Haemoglobin Meter Exporters, Analytical Research Equipments, Blood Testing Instruments, Haemoglobin Meter India, Analytical Equipments India.